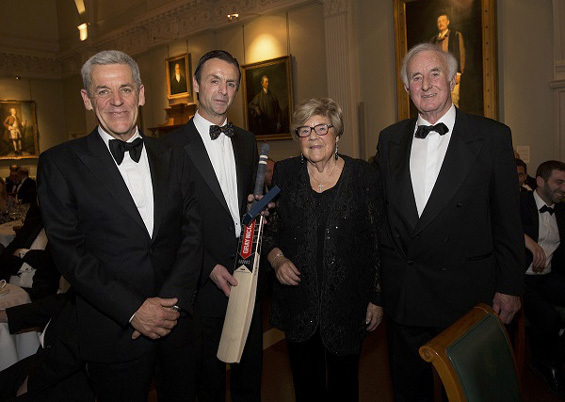 This year’s Walter Lawrence Trophy Presentation Dinner provided yet another sparkling evening in the packed Long Room at Lord’s as the four winners were celebrated on November 6. 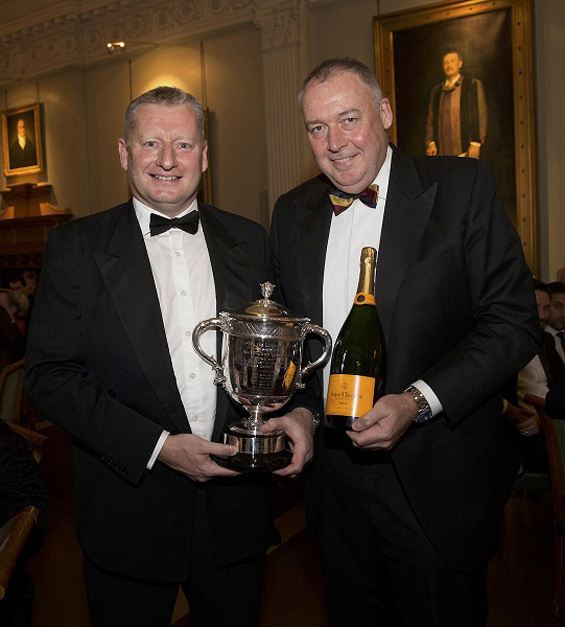 Following the traditional Champagne reception, courtesy of Veuve Clicquot, the former Kent captain and recent President of MCC, Matthew Fleming, took the helm as MC for the fourth year running and delivered a hosting masterclass peppered with generous helpings of humour. 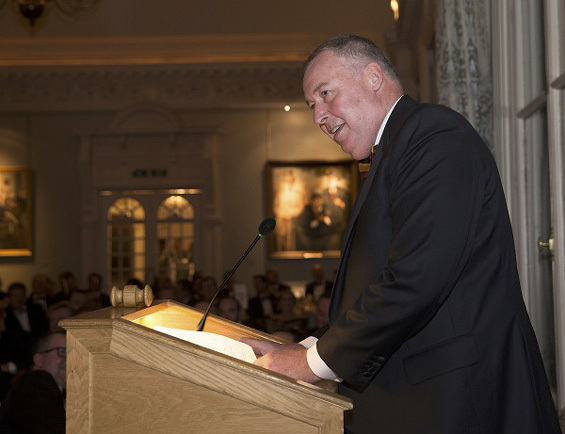 After the dinner and presentations, the former England and Middlesex pace bowler, Angus Fraser, took the floor as guest speaker and had the Long Room in stitches with an excellent speech spiced with witty barbs and anecdotes aplenty. Gus Fraser, on top form in The Long Room. The winner of the Walter Lawrence Trophy, now in its 84th year and awarded for the fastest hundred of the season, was New Zealander Martin Guptill, who thrashed a 35-ball century for Worcestershire against Northants in the Vitality Blast match at Northampton on July 27. Guptill’s fiery innings is the fastest century from balls faced in the history of the Trophy, which began including limited-overs innings in 2008. His hundred is the second fastest in domestic T20 games, and the joint-fourth fastest T20 century of all time. The 32-year-old Aucklander, sadly unavailable due to an international call-up and subsequent calf injury, has played in 47 Tests to date, and in January this year became the second New Zealand batsman, and the ninth overall, to score a century against each of the nine full-member Test-playing countries. He has played in 159 One-Day Internationals, during which he made 13 hundreds, including an unbeaten 237 against West Indies in the quarter-final of the 2015 World Cup, as well as 75 T20 Internationals. In addition to his national side and Worcestershire, Guptill’s illustrious career has seen him represent, among others, Auckland, Derbyshire, Lancashire, Guyana Amazon Warriors, Mumbai Indians, Kings XI Punjab, Sydney Thunder and St Kitts & Nevis Patriots. His nickname within the New Zealand team is ‘Two Toes’, owing to an unfortunate accident when, at the age of 13, he lost three toes on his left foot following an accident with a forklift truck. 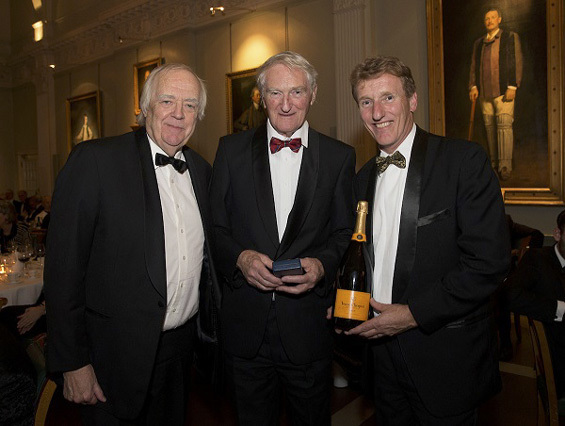 Following in the footsteps of Ken Rutherford (1994), Chris Cairns (1995) and Scott Styris (2012), Guptill is the fourth Kiwi to win the Trophy which, along with a cheque for £3,000 and a special medallion, was accepted on his behalf by Worcestershire CCC chief executive, Matt Rawnsley. on behalf of Martin Guptill. England and Surrey all-rounder, Natalie Sciver is the winner of this year’s Walter Lawrence Women’s Award, thanks to an awesome innings of 180 not out, off just 98 balls, for Surrey Women against Derbyshire Women at Spondon CC on May 27. In the ECB Women’s County Championship, Division 2 match, her whirlwind knock, which included 33 fours and 1 six, set up a crushing 354-run win, in which she also took 3 wickets for 6 runs. Nat Sciver, who is now recognised as one of the world’s great women’s players, claims the Walter Lawrence Women’s Award for the second time after winning it in 2014. To date, she has represented England in 53 One-Day Internationals and 50 T20 Internationals and, together with two of her 2017 World-Cup-winning team mates, gained the accolade of being named as one of Wisden’s Five Cricketers of The Year in the 2018 edition. Nat is currently in the West Indies with England for the Women’s World Twenty20 tournament, but her father and grandfather were on hand to receive the special silver medallion and a cheque for £500 on her behalf. John, and father, Richard, on Natalie's behalf. Sam Evans is this year’s winner of the Walter Lawrence MCC Universities Award with a score of 217 for Loughborough MCCU. His spirited innings, on June 14, came off 281 balls, including 30 fours and 3 sixes. His Loughborough coach, the former Leicestershire and Northern Transvaal batsman Russell Cobb, was delighted for Evans and was full of praise for the Walter Lawrence award, which began in 2006, expressing his thanks ‘for the continued support of such a great scheme for our talented cricketers who wish to secure a degree. Sam is a great lad, full of humour, and Loughborough MCCU think very highly of him and, of course, we are all proud of his achievement’. Evans, who is currently in the 2nd year of a geography degree, is the second Loughborough winner, following Rob White in 2016.
from MCC Cricket Secretary John Stephenson. 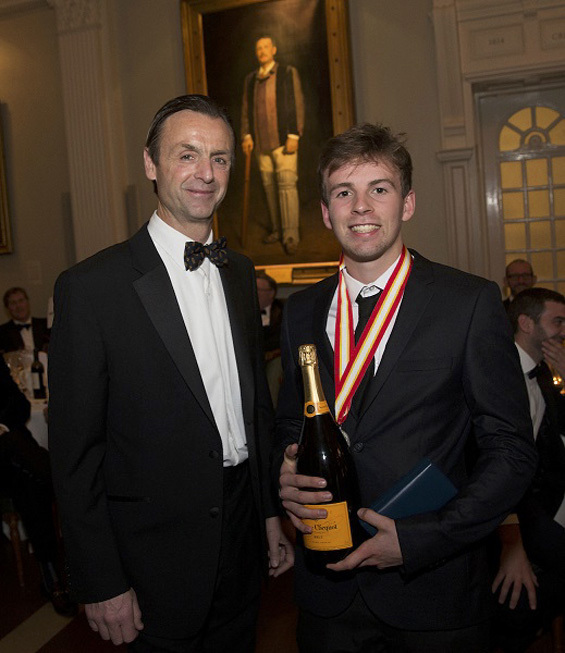 Will Buttleman of Felsted School has won this year’s Walter Lawrence Schools Award for his innings of 140, the highest score by a school batsman against MCC. Despite just failing to overhaul the visitors’ total of 285 for 6, opener Will’s innings, scored off 123 balls and including 17 fours and 4 sixes, pushed the school to within 18 runs of the target on April 26. The 18-year-old Chelmsford-born batsman and wicket-keeper played in 10 matches for Essex 2nd XI this season, recording his first century, 125, for them against Gloucestershire 2nd XI at Bristol in July. Will, the eighth winner of the Schools Award, is currently playing in Sydney for Mosman in grade cricket where he hopes to continue to develop his game, but his father and grandparents happily received his reward of a special medallion and a Gray-Nicolls bat. Walter Lawrence Schools Award winner, Will Buttleman.